This application has one or two key elements that we need to consider. Firstly, the typical movie soundtrack has a somewhat different energy distribution than music. There is significantly more energy in the bass region, giving impact in the action scenes, hence the dedicated subwoofer, and the bulk of the soundtrack is actually coming from the centre (or dialogue) channel which makes this speaker of particular importance. 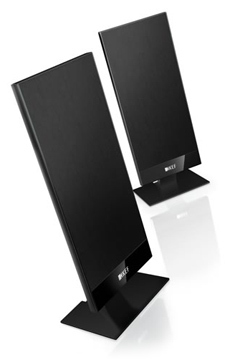 The subwoofer-satellite format of home theatre systems also allows the satellites to be very compact and unobtrusive in the home. One of the key elements we listen for in home theatre systems is the subjective integration between the subwoofer and the satellites – ideally one should not be aware of the subwoofer’s presence – it should sound as if we are surrounded by five full range speakers. The other main aspect to system integration is termed ‘timbre balance’ – this means that all the main speakers should sound very similar – so that the sonic effects move around the soundstage in a very smooth and natural way, thereby giving the listener a sensory ‘envelopment’ experience. Also of importance is the system’s ability to follow the dynamics of the soundtrack and reproduce the louder passages without obvious strain. In other respects the basic design philosophy applies – action sounds such as a cannon blast should sound as realistic as possible, voices should be reproduced clearly over the whole listening area – not just in the central listening position – and one should get a sense of being immersed in the soundstage, not separated from it.